Dental emergencies should not be neglected, because thesetypes of injuries can get from bad to worse in a very short time. It is better to be safe than sorry, hence, it is best to seek immediate medical attention. However, when emergencies occur in the middle of the night or during the weekends, regular dental clinics remain closed. In such a situation, Emergency dentists are your only option. 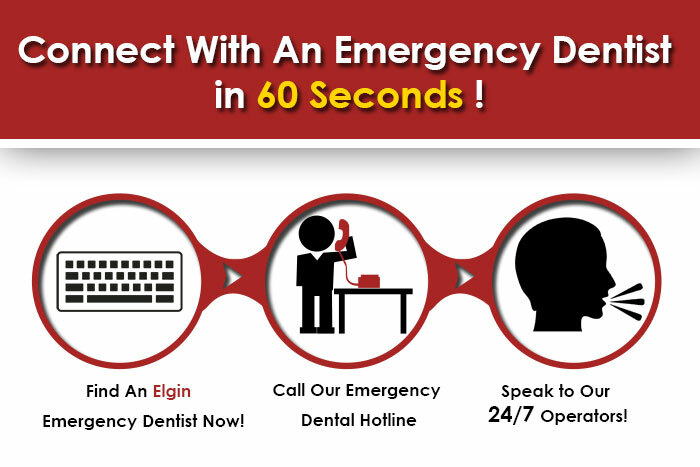 Emergency dental clinics remain open seven days a week, making it easy for you to avail their services at any time. Whether it is a gum injury, chipped tooth or dental injury of the senior citizens or children in your family, waiting for normal clinics to open is not a feasible option. Since normal clinics do not usually remain operational during weekends, emergency dentists are the best place to go to. Situated in the Cook and Kane counties of northern Illinois, this bustling city has a total population of around 110,145, making it the eighth largest city in the state of Illinois. Accidents happen without notice in a city as such, hence, it is best to have some contact information of emergency dentists noted down for the residents of this city. The following is a list of emergency dentists and dental clinics for the residents of Elgin. Dr. Steve Sirin specializes in comprehensive general dentistry as well as advanced cosmetic dentistry. This office is about helping clients have beautiful smiles regardless of age, making it a great place for the whole family. The doctor only performs critical procedures,like crowns and large fillings only if absolutely necessary. They even have a special hotline for new patients, which is 847-814-0977. Located at 1 Crescent St, Elgin, IL 60123, they can be contacted at 847-742-1330. Dr. Michael Bender takes pride in providing dental care that meets your emergency needs as well as your budget constraints. No reason to be afraid of the dentist anymore, as this dentistry is a warm, friendly clinic providing cosmetic, dental, and oral surgery. Currently, the clinic has an ongoing 80% off on in-office whitening treatments. Located at 217 W. McClean Blvd, Suite 1D, you can call their number 847-888-4333 today. The experienced dental team consisting of Dr. Mary Kane McAuslan and Dr. Natalee Soto-Gonzales specialize in restorative dentistry, preventive dentistry, cosmetic dentistry, children’s dentistry, dentistry for seniors, etc. Midwest Dental accepts many well known insurance plans, such as Atena, Cigna, Blue Cross Dental, Humana, MetLife, etc. There are two attractive dental packages that are available for new adult and child patients. It is located at 217 W. McClean Blvd, Suite 1D. Call them today for more information, to book an appointment, or during emergencies at 847-888-4333. The specialized services of Brar Dental include Restorative and Cosmetic Dentistry, Surgery, Laser Dentistry, Dental Implants, Root Canal, etc. The location of this clinic is 300 Randall Rd, South Elgin. You can call at 630-883-0200to book an appointment.